The sinuses are hollow cavities within the facial bones. Sinuses are not fully developed until after age 12. 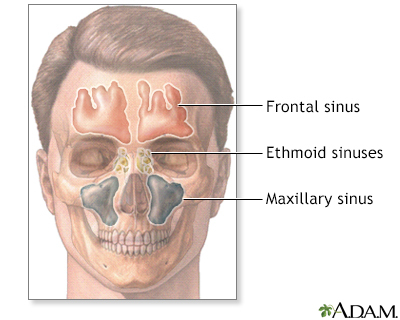 When people speak of sinus infections, they are most frequently referring to the maxillary and ethmoid sinuses.